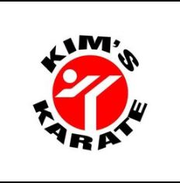 Kim's Karate has been apart of the Wyncote, PA community for over 22 years. Specializing in Self Defense, Tae Kwon Do, Judo and Jiu Jitsu. It's a great place to build confidence, learn how to protect yourself, self discipline and how to be respectful & helpful to the others. Come join us today! Call (215) 549-0100. Rate and review Kim's Karate in Wyncote, PA, United States! Share your experiences at Kim's Karate with your friends or discover more Miscellaneous in Wyncote, PA, United States.